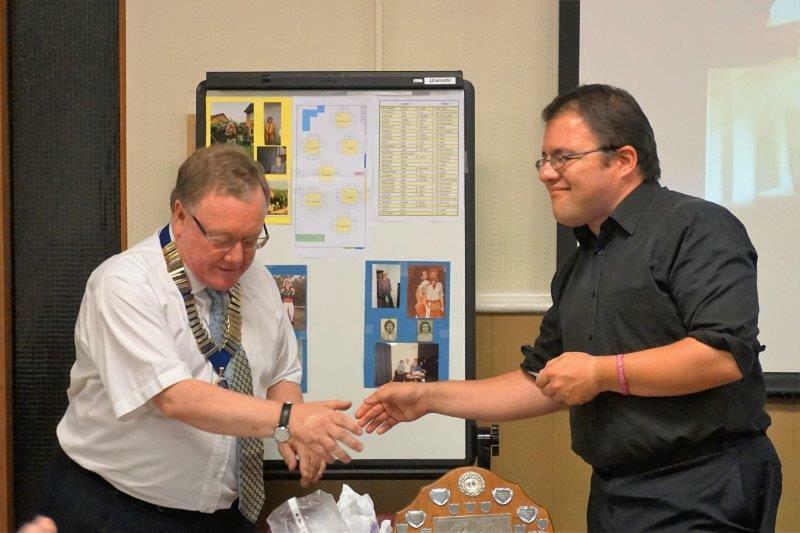 Welcome to Balsall Common Lions Club (CIO) website. March 11th 2019 1st prize. 51. 2nd prize. 30 . 3rd prize 53. We offer our sincere thanks to the residents of Balsall Common, Berkswell, Burton Green and Fen End from who we collected just a little under £7000, Our thanks are also extended to the Unity Automotive (Carstins) garage for the loan of the towing vehicle and the Co-op for allowing us to collect on Christmas Eve morning. 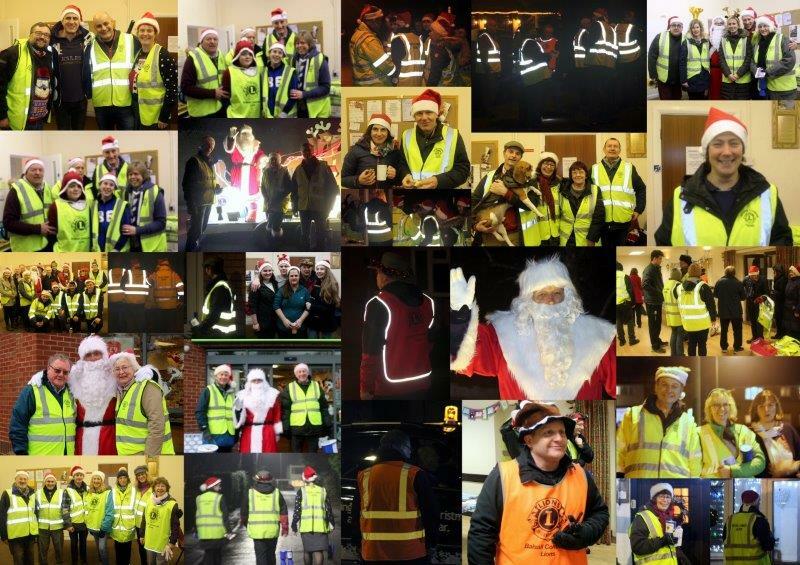 The collector volunteers from Balsall Common Parish Council, the Jubilee Centre, Burton Green residents, the Scouts, Hornets Football Club, Rugby Football Club, Cricket Club and last but not least the drivers of the towing vehicle, their help was very much appreciated. Preparation during the day by Lions and friends off Lions. A crowd of over 2400 enjoyed the Bonfire and Fireworks Display. 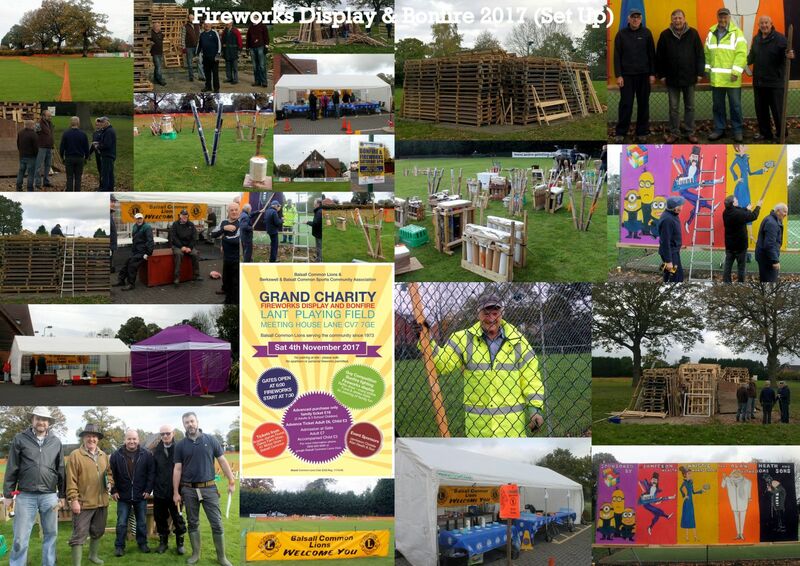 At Balsall Common we are very lucky to have our own Pyrotechnic Lion Derrick Thompkins who together with his team of assistants put on a fantastic fireworks display. Judging by the compliments of the crowd when leaving it was a 100% success and voted by very many the best fireworks display in the area. Our thanks to the local Businesses that sold tickets for this annual event helping to make it the continual success it is every year. We also thank all those volunteers that help us to hold the event every year, without them it would not be the success it obviously is. Many thanks to all those who attend every year and to those who have attended for the first time, please continue to support us. This is one of the three biggest events we hold every year to collect for Good Causes. 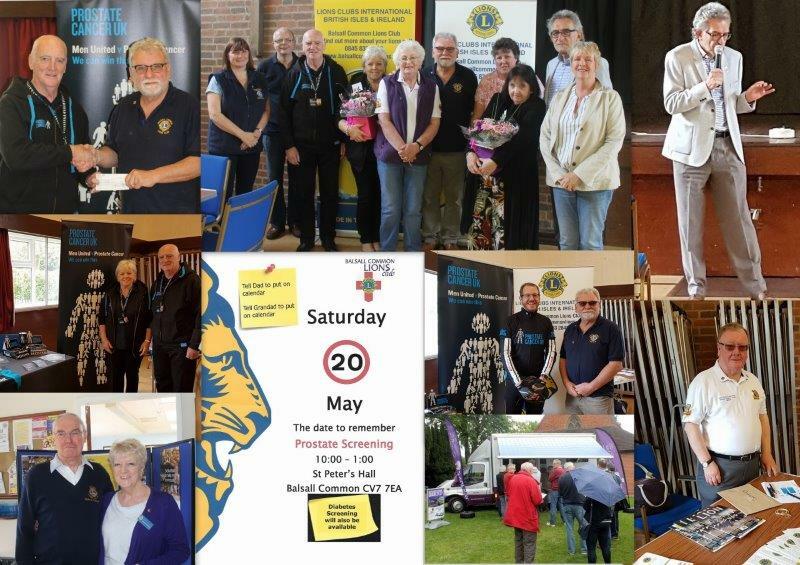 Balsall Common Lions would like to thank all the Men who turned out on Saturday 20th May to our Prostate and Diabetes Screening morning in Balsall Common. For us, the third time we have now done this, it was a record breaking result with 259 men giving samples. We also had 59 pass through the diabetic screening. The event was organised in association with Graham Fulford Charitable Trust. Great night in St Peter's Church Hall with the Brassneck Ceilidh Band, who are an English Country Dance band, based in the Midlands. It was certainly a very energetic fun evening with everyone dancing. Their repertoire includes a wide range of music with many of the best known Scottish tunes, with relaxed waltzes, the OXO reel through to the livelier Strip the Willow. 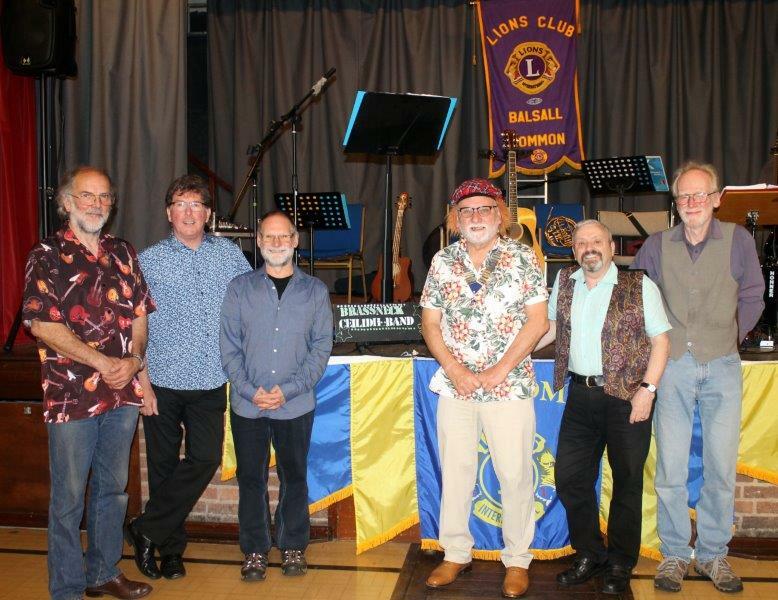 In the picture of the Band, with Lion President Dave Blakeman, is Steve Edkins (second from left), who as well as playing the guitar, mandola & bodhran, is their front man and fun caller with his jokes along the way. We look forward to seeing them again sometime in the future. 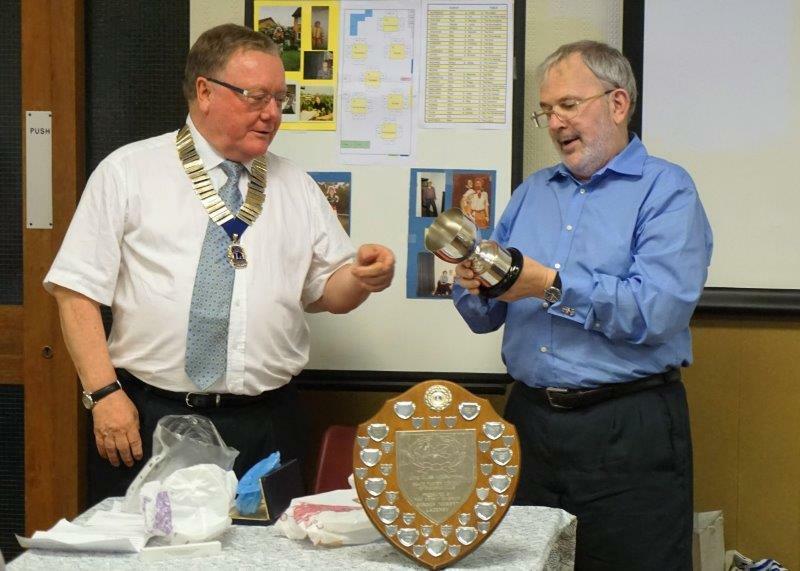 These were just two of the amazing achievements recognised by Balsall Common Lions Club last week at their second annual celebration evening. President Dave Blakeman told the audience of the amazing things the club has achieved recently. Over the last five years the club has raised a total of £105000 in our area, including £24,321.95 last year, of which 75% was spent locally. 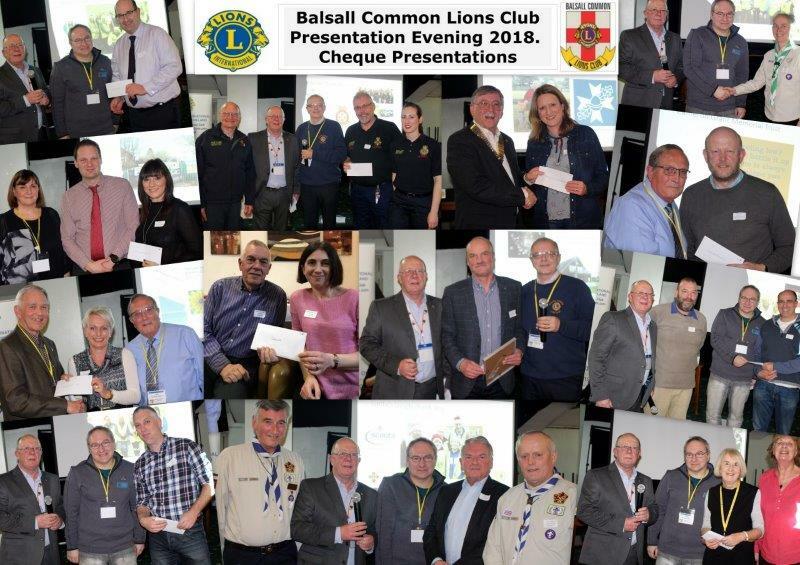 The Lions don’t just raise money, they also donate many hours of their time - organising Bingo evenings in the Village Hall, serving meals for homeless people at the SIFA Fireside project, bulb planting, and of course ensuring Santa visits Balsall Common and surrounding areas. 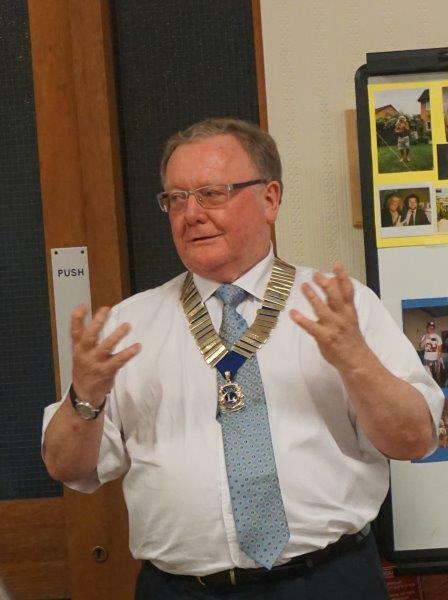 Past President Andy Pemberton explained that the 41 members of Balsall Common Lions Club are part of the world’s largest service organisation. There are 1.4 million Lions in 209 countries who all work with their local communities and combine with other charities to work on global projects such as eradicating measles and preventable blindess. 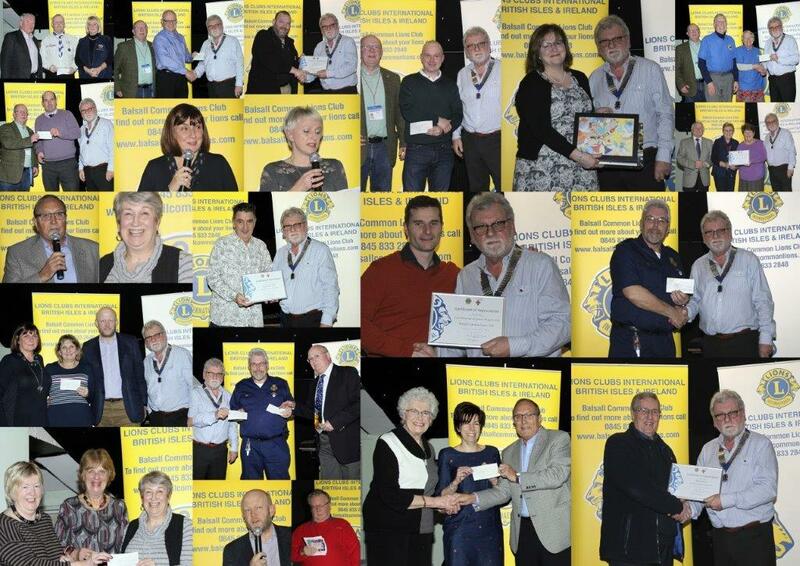 It is estimated that every Lion touches the lives of another 70 people and Balsall Common Lions Club feel they surpass that estimate, thanks to the help and support they receive locally. Andy thanked everyone who has donated to disaster relief collections outside the Co-op, attended the Bonfire, said hello to Santa or volunteered their time. Berkswell and District Royal British Legion: Berkswell and Balsall Common Community Association (and a donation of £1800): Hugh Boulton, R U Trailer Trained (and a donation of £100): Carl Hemming: The Bugle: Balsall Common Village Hall (and a donation of £1145): Jamieson Christie: Angela Jaynes Florist: Oakes Farm Shop: Tesco Express: Heart of England Coop: Unity Automotive. A total of £8000 was given out on the night. Castel Froma Specialist Care Centre offer long-term and respite care plus rehabilitation for neurological conditions received £1000 from a monthly “100 Club” the Lions run. This year’s beneficiary will be the Little Ray of Sunshine Cafe for dementia suffers and their carers held at the Kenilworth Centre. £400, the proceeds from a Race Night ,were donated to the Cameron Grant Memorial Fund to raise awareness of help available for people who are feeling low or even suicidal. In recognition of their help organising and ensuring the safety of the Bonfire, Berkswell Scouts, the ATC, and Fast Aid were awarded £100 each. 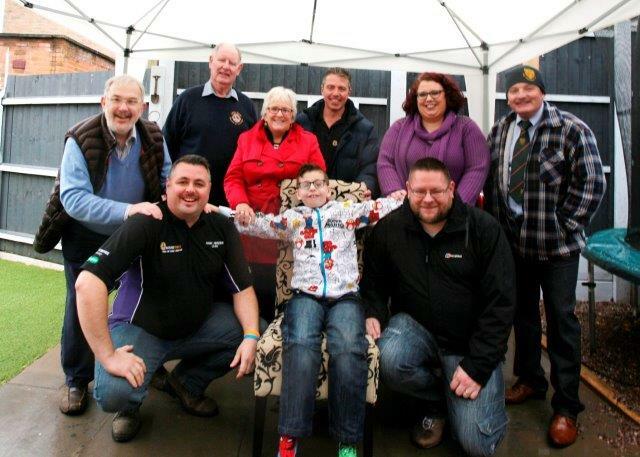 An additional donation of £1000 went to Fast Aid, alongside £1000 donated by the Bugle to allow them to purchase a trailer for their equipment. Santa’s Elves from Berkswell Cricket Club, Balsall Hornets, Balsall Common Scouts, Berkswell and Balsall Common Rugby Club, and Coventry Phoenix Lions each received £300. 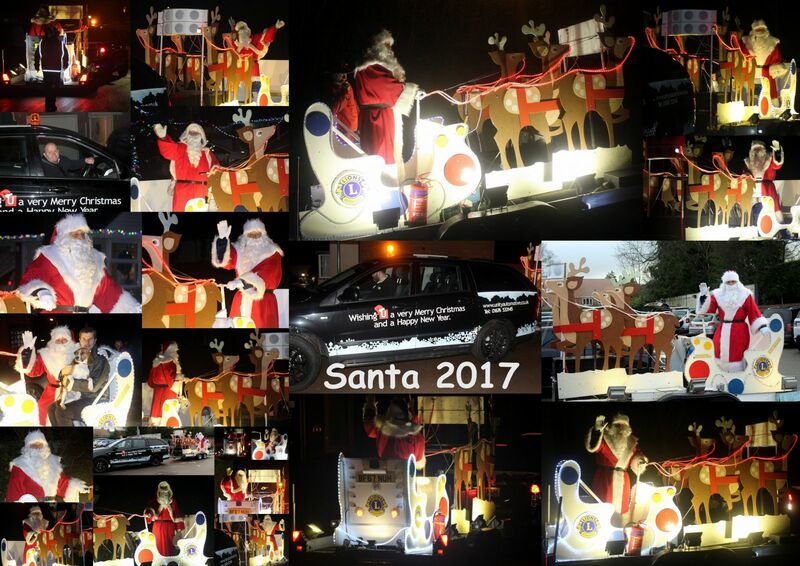 Santa’s sleigh ride around Burton Green raised £876.72 for Myron Hospices, kindly rounded up to £1000 by Hickorys Smokehouse. We are lucky to have such an amazing group of people in our community who give their time and energy to support other good causes. Why not find out more about what they do and how you can join them. Contact Ross Collins rossncollins@icloud.com. 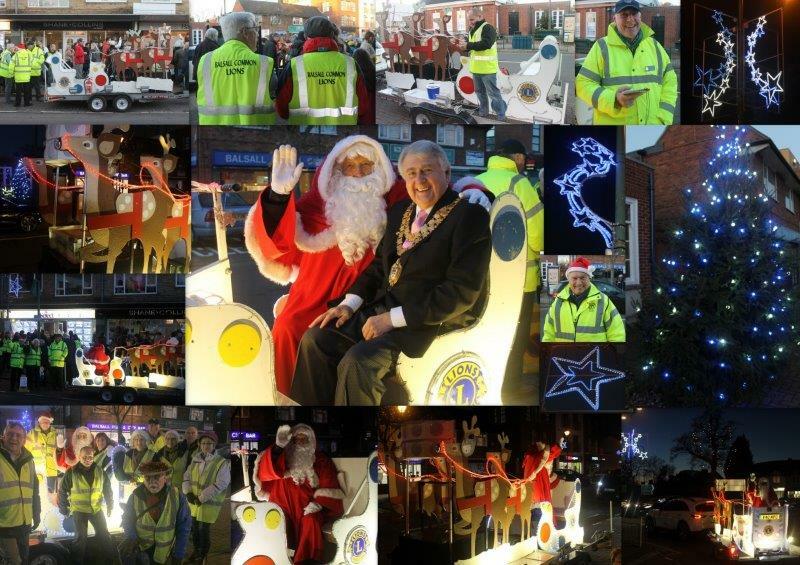 Santa was at Balsall Common Village Christmas Light Switch On, and what a fantastic turnout we had. The Mayor of Solihull Councillor Mike Robinson came along to throw the switch and afterwards met Santa and chatted to everyone. Thank You to the choir from Balsall Common Primary School who sang their festive songs for us and also to the local Businesses who joined in the festivities by providing refreshments, adding to the seasonal mood. All the boys and girls (and some grown-ups) kept Santa very busy with photographs. Thank you all for coming along making it a great occasion. At The Heart of England School on the 10th December 2016. Due to the overwhelming demand for tickets we have had to change the venue. The show will now be held at The Heart of England School, Gipsy Lane, Balsall Common, CV7 7FW. We are asking everyone to be there at 7.00pm for a prompt 7.30pm start. A hot supper of Lasagne and Salad will be served during the interval. We look forward to seeing you there, for what will be a great night. Ticket price £15.00. He will be visiting on the 25th November for the switching on of the village lights at 3.30pm. He will then be returning on the 14th December for eight visits to see all the children in the village. Santa's routes will be publlished in the Winter edition of the village BUGLE magazine to be delivered starting November 19th 2016. 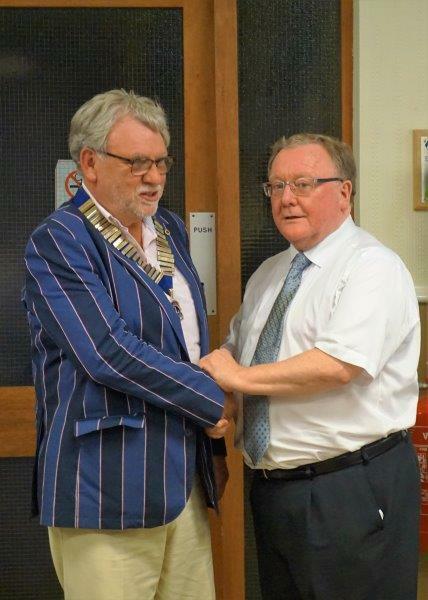 Past President Lion Andy Pemberton looks as if he is reluctant to hand over the Presidents Chain but President Lion David Blakeman ends up getting the Chain of Office. Our new President was a big fan of the TV Show Allo, Allo and particularly admired the Cafe owner Renee. So! We shall only say this once. Allo, Allo to our new Prisidont. Lion President "Renee" Blakeman presides at his First Lions Business meeting. Lion Ray Stephens receives the Melvin Jones Fellowship award (MJF) and Lion Ann Pemberton receives the Bert Mason Humanitarian Award (BMHA) from Past President Andy Pemberton and incoming President Lion David Blakeman. Lion Brian Hornsby receives the Best Lion of the Year award and Lion Mark Smallman receives his 100% meeting attendance award. Castel Froma & Helen Ley Fete. The Lions at the Castel Froma Fete helping to raise much needed funds. 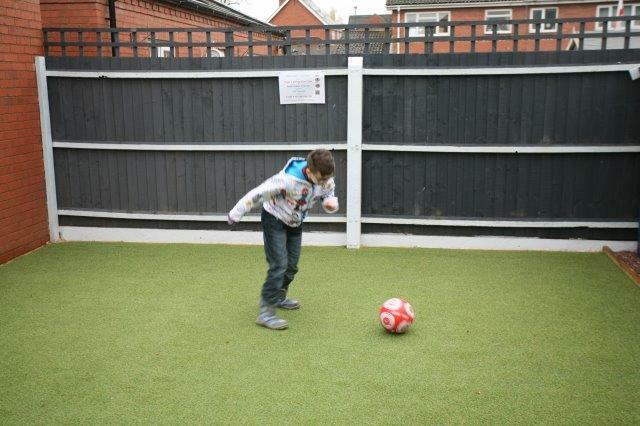 Both Castel Froma and Helen Ley centres offer respite care and rehabilitation for neurological conditions. The proceeds of our "100 Club" for 2016 will be donated to this worthy cause later in the year. On April 23rd we celebrated St George's Day which included the induction of two new Lions Anna and Mark Dunn. In the centre piece of the collage Anna and Mark are being presented with their Induction Certificates also Lion Mark Whitfield receiving his Sponsorship Certificate from President Lion Andy Pemberton. An excellant dinner was prepared by President Lion Andy and Lion Ann Pemberton ablely assisted by daughter Claire. The menu was Soup, Steak & Ale pie with Mashed potato, carrots & peas followed by Trifle, Cheese & biscuits, Coffee. We have no doubt that St George would have been very pleased. We were then entertained by "Drumvoices" a ladies band playing African drums. Lions Stan Shakeshaft and Paul Coldicutt were invited by the leader of the band to a Drumming Dual, which was easily won by Lion Stan. At the end of the entertainment a member of the band Liz Brown, who is a representative of "SANDS", was presented with a cheque for £200. A Day in Parliament for Peace Poster Winner. 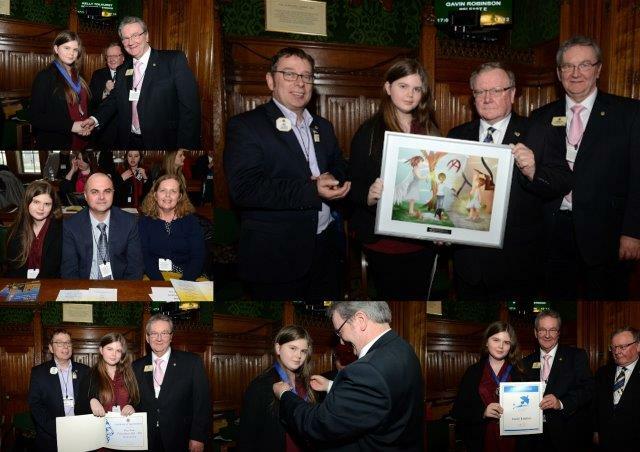 On Tuesday 15th March Balsall Common Lions President and Youth Office Andy & Ann Pemberton, with Emily Lyndsey (UK Peace Poster winner), & her Parents, attended the UN Day at the Houses of Parliament. They met with U.N. Officials and Emily was presented with a Certificate as one of the 23 International merit award winners, and a specially framed copy of her painting. In addition Emily also received $500 from Lions Club International with £100 from Lions UK. In the picture Emily is being congratulated by Past International Director Lion Howard Lee with President Lion Andy and Chairman of Council Lion Simon Moss looking on. Worthy Service for the Community. 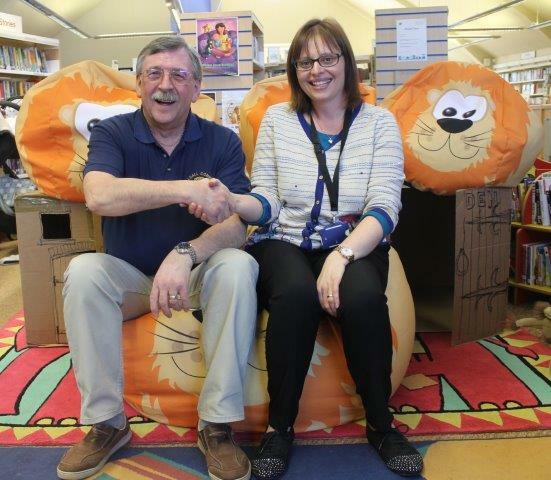 Top Left: Service Chairman Lion Steve Meakin presenting "sit in" bean bags to District Library Manager Amanda Jones. These will be used by the children at story time, when watching TV or playing games. Top right: Planting 400 tulips, daffodils and snowdrops, kindly donated by Wyevale Garden Centre in conjunction with Solihull MBC. 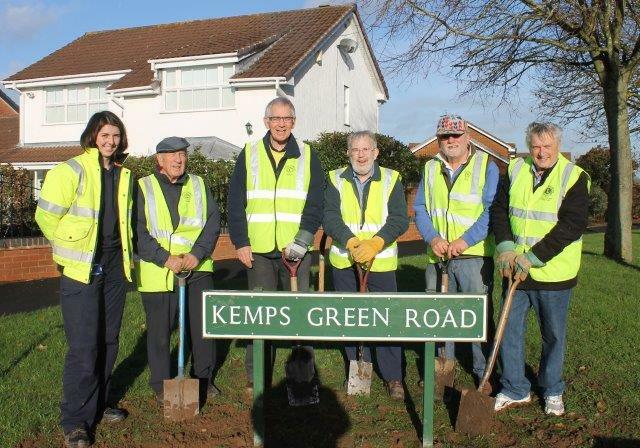 From left to right Sarah Jones (SMBC) with Lions Alan Douglas, Barrie Cousins, Brian Hornsby, Dave Blakeman and Stan Shakeshaft. Bottom Left: Path clearing and cleaning this is towards the Environmental campaign with a National target of clearing 100 miles of pathways our club target is 235yards. 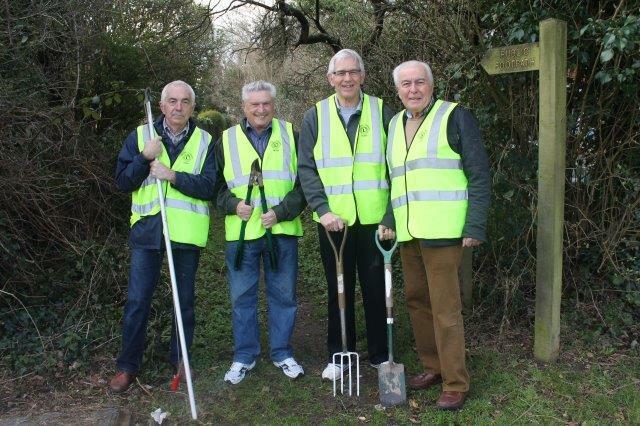 In consultation with Solihull MBC, 219 yards of the public footpath, alongside the car park by the George in The Tree, was cleared by Balsall Common Lions Stan Newton, Stan Shakeshaft, Barrie Cousins & John Thomas. 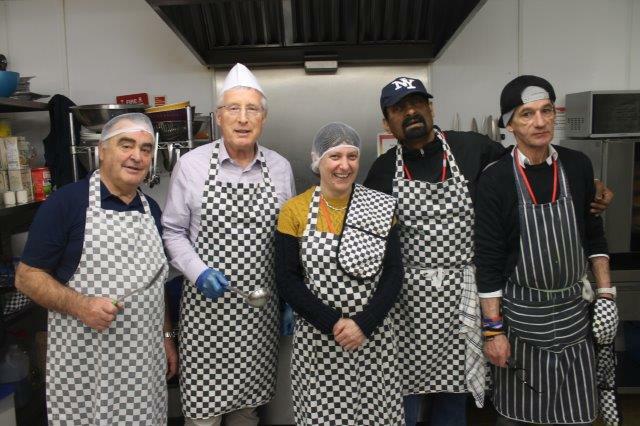 Bottom right: Lions Mike Lawrence and Paul Coldicutt with regular volunteers Marie, George and Eamonn at a Birmingham local drop in centre SIFA-Fireside for the homeless who prepared and served 97 breakfasts and 102 lunches. As we look toward our centennial celebration in 2017, Lions are encouraged to serve 100 million people through participation of Global Service campaigns. Harrison has several health problems including severe neuro-gastric issues ( being reliant on tube feeding), hypertonia, (balance gait and tiredness) & dyspraxia (coordination and special awareness). 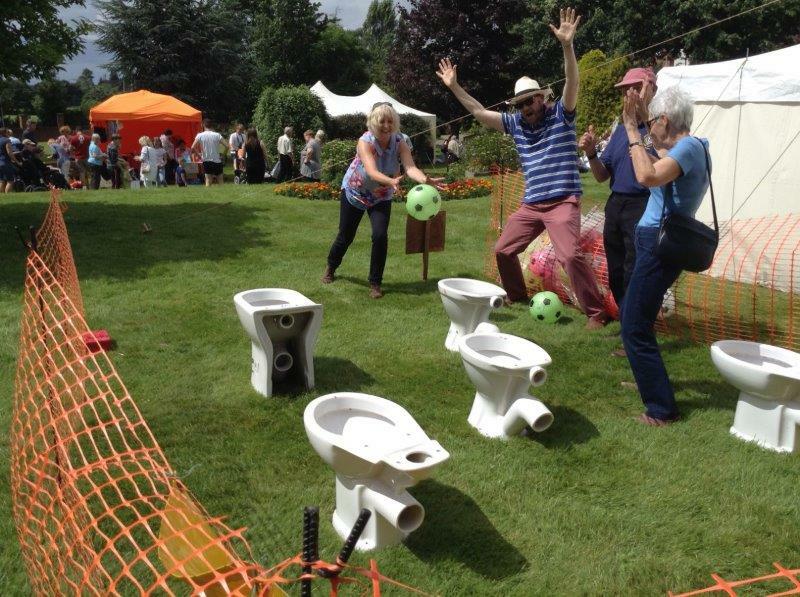 We were more than happy to be involved but the anticipated costs looked prohibitive. Knowle & Dorridge Round Table also committed to the project and a partnership was formed. Even with this joint effort there was still a funding shortfall but thanks to the additional support of Knowle & Dorridge Lions and Balsall Common Festival Committee the whole of the work was carried out in one go, meaning the Harrison's trampoline is now all-weather as well. 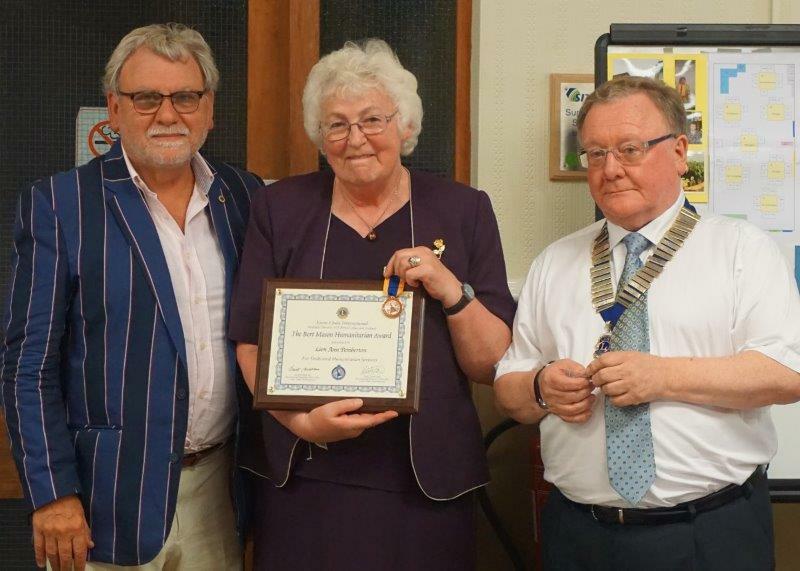 Balsall Common Lion recognised by International President of Lions Clubs. 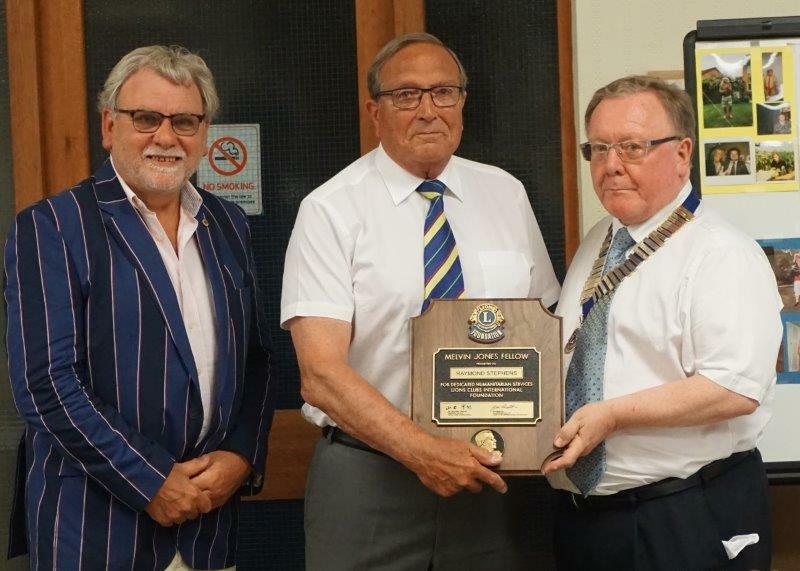 At the National Conference for Lions Clubs in British Isles and Ireland International President Barry Palmer presented a personal gift in recognition of Lion Andy Pemberton's work for the Lions Clubs of British Isles and Ireland since 2009. Bingo Sessions some of our regular players. Every other Friday throughout the year we hold Bingo sessions at the Balsall Common Village Hall at 7.30pm. During the evening ten games are played with two prizes for each game plus there is a Snowball game, if the snowball is not won the game carries on until we have a winner who gets a Chicken Dinner. There is also a raffle with many nice prizes to be won. These evenings are open to anyone who would like to join in. 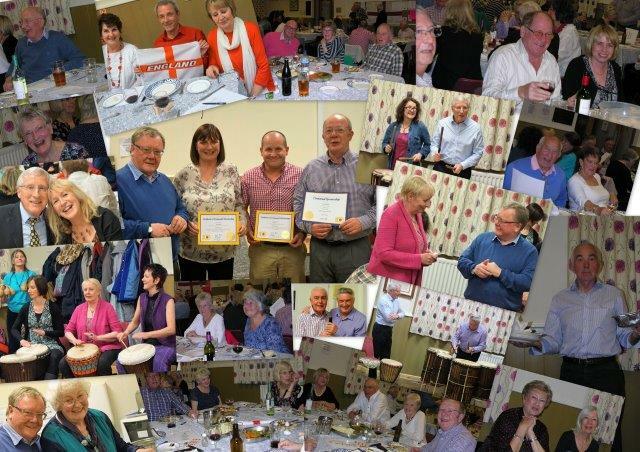 In the photo above can be seen some of our regular players who come along and enjoy an evening of fun and friendship. 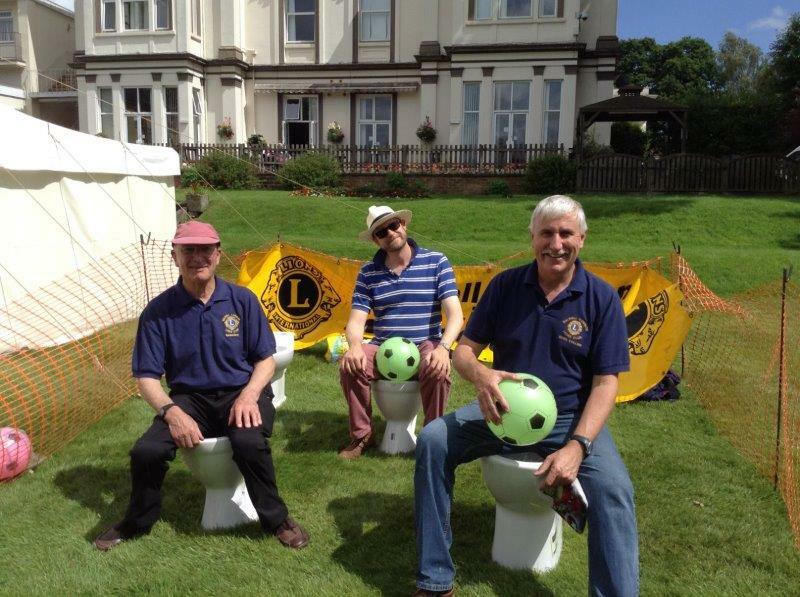 Balsall Common Lions are a friendly and active group of men and women who come from all walks of life. They are united to give some of their free time to help those less fortunate than themselves. 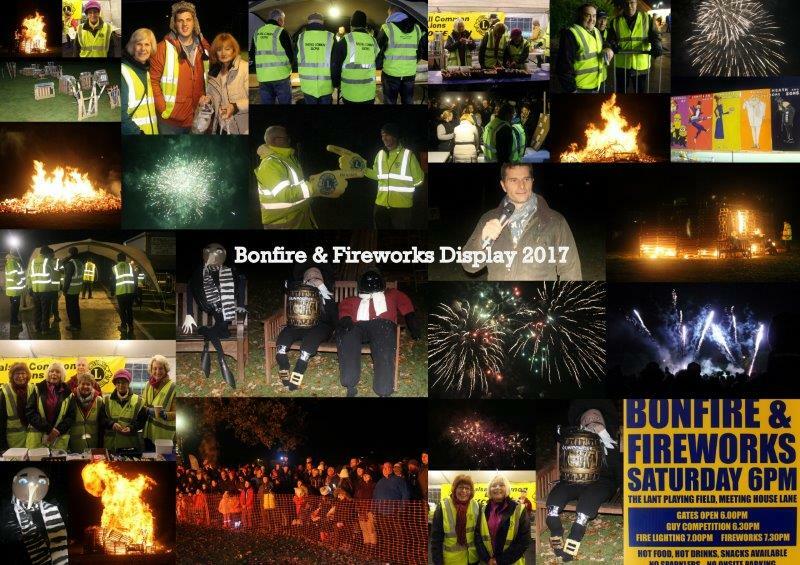 The Lions organise fundraising events such as Balsall Common’s annual bonfire and fireworks display and Santa’s annual sleigh ride round Balsall Common, Berkswell, Fen End and Burton Green. Details of our public fund raising events can be found on our Events Calendar page. The Lions deal with requests for help, which can come from local residents or from the other side of the world. We like to help as many local people as possible, but also get involved in international projects, often working together with other Lions groups. Examples of the good causes we support can be found on our Donations page. The Lions organise social gatherings for its’own members their partners and friends – if you would like to attend or simply talk to someone about the club you can email us on db@daveblakemanifa.net or call us on our local rate number 0845 833 2848. Thank you for visiting our Website. We are constantly updating our content and the forthcoming events calendar page gives details of upcoming activities. Please bookmark this site and visit us again. 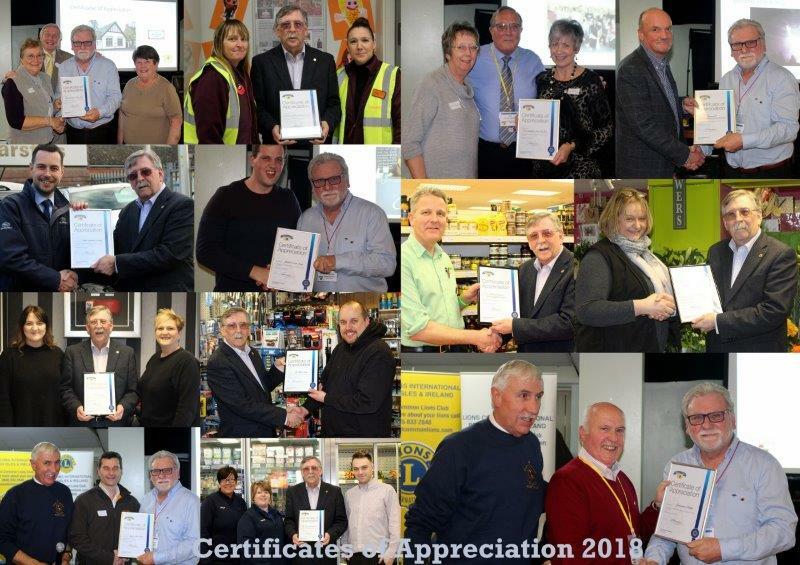 Balsall Common Lions Club would like to extend their appreciation and a special "Thank You" to the local residents, businesses and fellow Lions Clubs who have given us tremendous help and support for 42 years to provide a service to the community. This has enabled us to achieve our commitment "We Serve."